Mr. Robert Lipsett holds the Jascha Heifetz Distinguished Violin Chair at the Colburn School in Los Angeles, California where he has been on the faculty for 25 years. In addition, he taught at the University of Southern California as a tenured professor and CalState University–Northridge. His students have consistently won important competitions including the Julius Stulberg Awards, the Yehudi Menuhin, Irvine M. Klein International Violin Competition, Hannover International Violin Competition and International Tchaikovsky Competition. Several have received highest honors from the National Association for the Advancement of the Arts and have been recognized as Presidential Scholars. This is the highest award the United States government can bestow on a high school student. 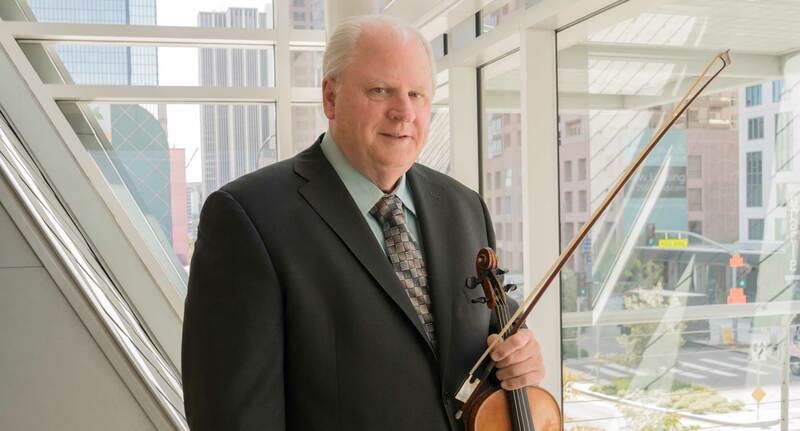 His students hold principal positions with leading orchestras including Concertmaster of the Chicago Symphony, Principal Associate Concertmaster and Assistant Concertmaster of the New York Philharmonic and Concertmaster of the St. Paul Chamber Orchestra. Mr. Lipsett’s students have performed as soloists with major orchestras including the Los Angeles Philharmonic, San Francisco Symphony, Chicago Symphony, New York Philharmonic, Cleveland Orchestra, Dallas Symphony, Houston Symphony, Boston Symphony, Detroit Symphony, Philadelphia Orchestra, English Chamber Orchestra as well as many appearances on national and international television. Mr. Lipsett received his B.A. in Music from California State University-Northridge. Principal teachers included Ivan Galamian, Ruth Lasley, Zelman Brunoff, Melvin Ritter, Endre Granat. He also serves on the faculty at the Aspen Music Festival and has given master classes at major schools around the world. He is a recipient of the Distinguished Teachers Award from the White House Commission for Presidential Scholars. In addition, Mr. Lipsett has been an active solo artist, chamber music performer, orchestral musician and freelance commercial musician in motion pictures, television and recording industry.